1. Declutter. Space equals money. 1 m2 can be worth £2000 in Teignbridge. It’s not only actual space that counts; if a buyer perceives a property as larger they may be prepared to pay more. This can put more money in your pocket. 2. Complete unfinished DIY and ensure necessary repairs are carried out. If these are left undone, buyers may magnify the potential costs of work required and make low offers. Surveyors can also pick up on small things and this can lead to less positive reports. 3. Make the best of the approach, entrance and exterior of your home. First impressions count and many applicants will visit a property or do a drive-by prior to booking viewings. Creating a positive impression at this stage will lead to more viewings. 4. Get the marketing price right, taking into account your goals. Your asking price is like bait. Too high and you will experience a lack of viewings and a protracted sale. Too low and you will attract many buyers but not achieve the highest price. 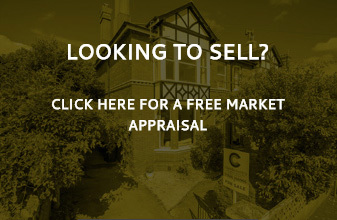 Ensure your estate agent has the experience and local knowledge to give accurate advice and backs this up with hard evidence of the sales they have achieved in your area. 5. Demonstrate that you are a committed seller. 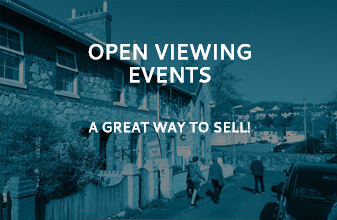 Display a For Sale board and accommodate viewings from good buyers, even at short notice when possible. This creates the maximum number of sales opportunities. 6. Presentation is important. We live in the real world and buyers understand that it may not be possible to immaculately present a home at all times. However, do everything practical to make your home stand out, especially when your agent is photographing and preparing details. It’s not just down to you though. Insist that your agent presents your property in the best possible light with high-profile internet listings, extensive advertising, quality sales particulars and professional photography if appropriate. 7. Get your finances sorted and line up an experienced local solicitor as soon as possible. This will speed up the process when you agree a sale. 8. Start your search for a new home early. Having a property to purchase can in some instances make the difference between selling and not selling. It can also assist in facilitating a smooth transaction. 9. Look at the big picture. Although it’s important to sell at the best possible price, considering the price and benefits of the home you want to buy may have a bearing on your decisions on offers. Sometimes showing flexibility when selling can lead to securing a fabulous property on advantageous terms. 10. Insist your estate agent has the experience and resources to do the job you are paying them for; i.e. that they advertise your property across all media and have a proactive sales team directly promoting your property to real buyers. 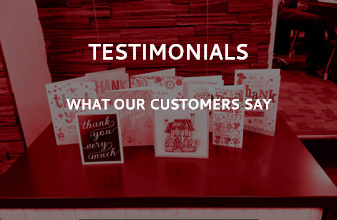 Make sure trained staff are available to conduct viewings, feed back to you promptly and that these staff are skilled at encouraging offers. Check that your agent has the expertise and contacts to progress your sale to completion, because a sale is not a sale until the money is in the bank. Coast and Country instructed more properties and agreed more sales than any other agent in the TQ12 postcode in 2017, based upon Rightmove’s own statistics between the dates of 1/1/17 and 31/12/17. We work on a strictly NO SALE, NO FEE basis, so there is absolutely no risk to you.